Nominees for the English Premier League Player of the Month for November has been announced. 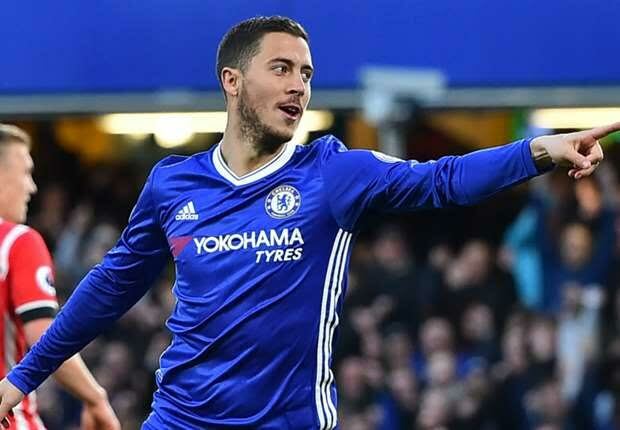 Liverpool’s Mohammed Salah, Eden Hazard of Chelsea, Man City duo, Kevin De Bruyne and Raheem Sterling are all in a 7-man shortlist for last month EPL award. The nominees were on Wednesday announced by the Premier League on their verified Twitter handle. The 3 other players in the shortlist are Arsenal’s Shkodran Mustafi, Ashley Young of Manchester United and Burnley’s Robbie Brady. Aldo, For the Barclay’s Manager of the Month also for November, Manchester United’s Jose Mourinho, Manchester City’s Pep Guardiola and Arsene Wenger of Arsenal are part of the six managers listed. Others are Jurgen Klopp of Liverpool, Chelsea’s Antonio Conte and Burnley’s Sean Dyche. Fans are expected to cast their votes for their choice of Player and Manager of the Month for November. They have until Monday, 11 December to vote and the winners will be announced on 15 December.